We welcome you back to another year of marching band competition here in Forsyth County. All bands welcome! On behalf of West Forsyth High School and the “Pride of the West”, we would like to invite you to the 7th Annual Wolverine Classic. 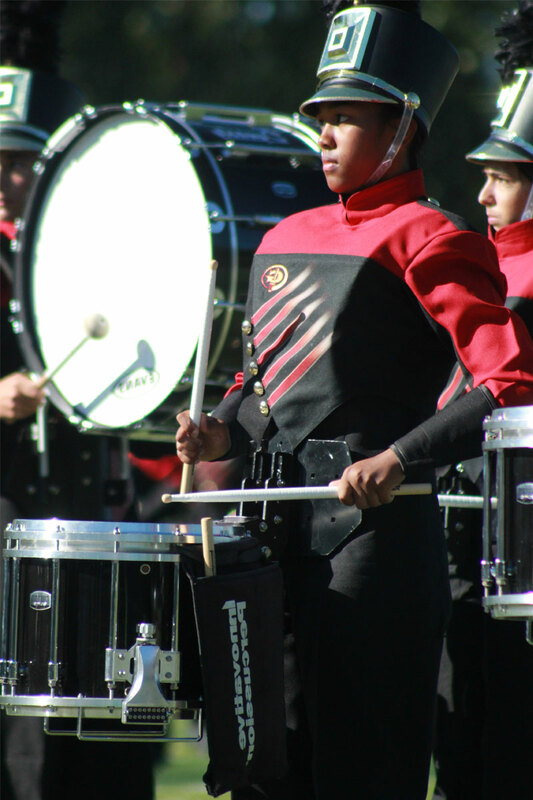 It is our goal to provide a positive, rewarding experience for you and your band program at the Wolverine Classic. You are sure to see many fine performances from bands from across Georgia. We have a great turf field, excellent stands for viewing performances, fine facilities and outstanding concessions to make your day a great experience. The director / bus driver hospitality room will be located in the school cafeteria. If you have any questions or concerns, please contact one of the Classic workers and we will be glad to assist. Once again, we hope you will join us. Overall awards will be given for 1st place in Silver and Gold Division for all categories. Judging will be based on a modified Olympic system. There will be 4 band judges. The lowest score will be dropped and the remaining 3 will be averaged to provide the Class Band Score. There will be a separate judge for Color Guard, Drum Major, and Percussion. This year, we’re continuing our tradition of creating a family-friendly, competitive and well-organized marching band competition. We strive to provide a rich experience for all bands, with ample space, plenty of parking and high-quality food for judges, staff and students alike. Register today by filling out this form and submitting your payment. We will update the competition schedule very soon. Stay tuned. Don’t hesitate to reach out to us with any questions you might have. If you are interested in a high-profile sponsorship opportunity, we invite you sign up as a sponsor today. We’ll feature your business in various highly-visible locations including the website, signage, programs and more. For information, please email the band boosters. Sign up your band today! Band Directors: Fill out this form and submit your payment to ensure your band a spot in the competition. We’re looking forward to having you!